If you send emails from do not reply addresses, I hate you. People you've never met also hate you. Something will go wrong and your customers can't tell you. You will send email to people who aren't your customers. They will have no way to ask you to stop. Stop hating your current and future customers. Stop using no reply addresses. 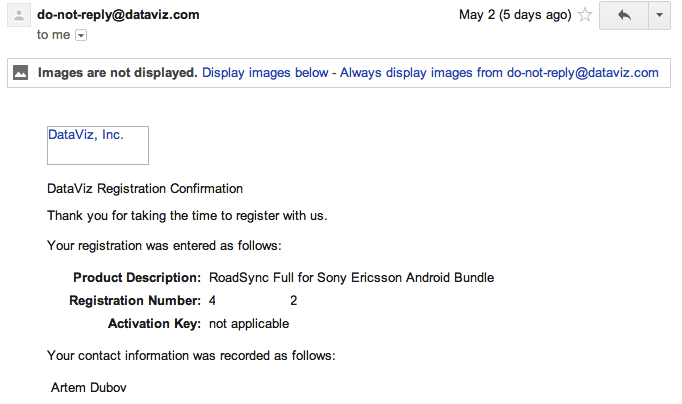 Only send email from monitored email addresses. If you create accounts without validating email addresses, I doubly hate you... and from now on I will be naming and shaming. Ask.fm lets people register without validating their email. 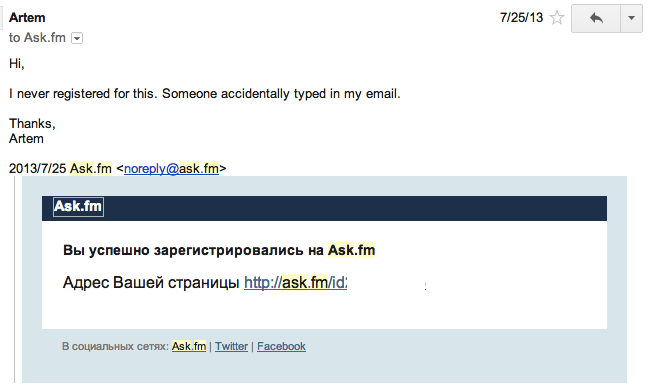 The many follow-up emails are all from noreply@ask.fm. Ask.fm, please stop. As you can guess, nothing was ever done. Ask.fm, I hate you. DataViz lets people buy software without verifying their email. Wish I could reply and tell them, but the email is from do-not-reply@dataviz.com. My name is not Artem Dubov and I did not buy this software.